If you’re like most people, December is probably one of your busiest months. So it might feel like the worst time to take a step back and do some focused thinking of how your business has been. But there is no better time and no more important task than this, if you wish to be and remain successful. I’ve offered tips on how to create these goals (SMART goals), understanding and working on personal development, and developing tools to manage yourself. These are all practices to keep you on course with your goals, on a monthly, weekly and even daily basis. So, NOW is the time to ask yourself how your goals have matched up with the actual results. What things in your plan have you simply mastered? What things did you miss your targets on? Can any of it be improved? Really, this review and assessment will end up applying to your life in general. I’ve heard from people that, almost by accident, goals that they have focused on and reached to improve their business somehow have also improved their personal lives. It’s all connected if you haven’t realized that yet, and it underscores even more the importance of this process. So let’s roll up our sleeves and get started. If this is something you’re uncomfortable initiating on your own, please invest in yourself and have a business or life coach work with you to reach your goals, every year. For 2018, revisit the goals you set. You did write them down, didn’t you? That’s the first key to success in reaching them, because if it’s not written down, it’s not real. Give yourself an honest grade or measure of how well you reached them, and maybe go through the practice of writing down those things that attributed to that grade. You’ll need those notes when you start looking forward to 2019. • How will the goals I set this year affect those in 2019? • If I fell short, were they realistic, and how should I set them accordingly in 2019? • What events impacted my 2018 goals, and what events might be a factor in setting goals next year? 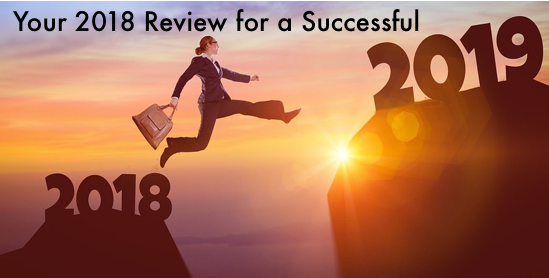 The key here will be to be as detailed as possible, because it will help you to pick out what strategies you can use to make 2019 even more successful, and what to avoid. Let’s face it, numbers don’t lie. Reviewing how well you did financially is a must if you want to continue enjoying your job, or if you don’t enjoy it because of finances, what you may need to do to change that. If things have been tight, review where you can cut back, or what income-generating things really aren’t worth it because they sap too much of your time, effort, and peace of mind. • What did I do to make it work? 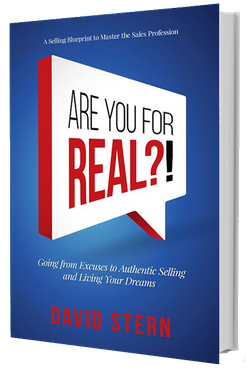 • What patterns am I noticing in my successes? • Why do I think it worked? • How can I apply it to goals I set in 2019? For example, let’s say you landed one new client every month. If every one of those new clients came from a process of research, meeting, follow up, and sharing product information, that’s the recipe for success worth repeating. It’s also a recipe that may also apply to other facets of your life and worth trying in 2019. Of course there are the misses. Everyone has them, and no one likes talking about them. Truly, this is where success is born. Knowing what not to do again happens when you can identify what mistakes you’ve made first. Call it retooling, correction or rebranding, the result will always be an improvement for 2019, and that should be very uplifting. The bottom line in this practice, and in everything we do, is to remember that it’s never good to coast on our success or dwell too much on our shortcomings. What we do always happens in the present and can impact our future, which should be an empowering thought.